Understanding properties of colloidal materials requires the investigation of a large number of compositions or process combinations as well as the control and understanding of their morphology, both for fundamental studies or for routine quality verification. This necessitates characterization requirements over broad length scales and experimental conditions. 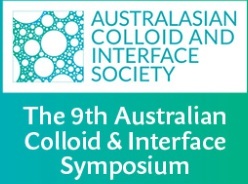 This presentation will summarize latest results of Xenocs developments applied to colloidal science, emphasizing impact of data analysis and related interpretation for nanoparticles, colloids and nanomaterials characterization.